Stockholm is the first in a series of “Design Cities” that we will begin to feature on DesignsWeLove. Let us know what you think! Recently we spent a few days in Stockholm in search for good design to share with our readers. It’s actually not very difficult to see design along the shopping districts, but also in public transportation such as the subway stations as well as on the Arlanda Express trains. Before we digress too much, here are some of the places that we found. 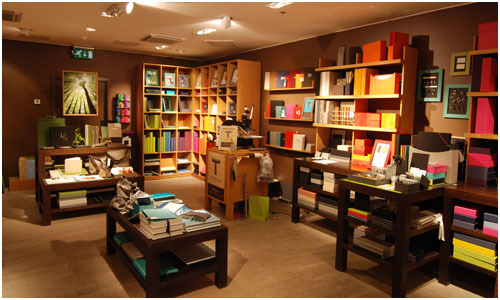 This is a serious shop that sells hand-crafted cloth stationery products ranging from notebooks to folders to organization boxes and more. The company is only a little over 10 years old and it’s already expanded beyond its home borders in Sweden to Europe and the Asia Pacific regions. 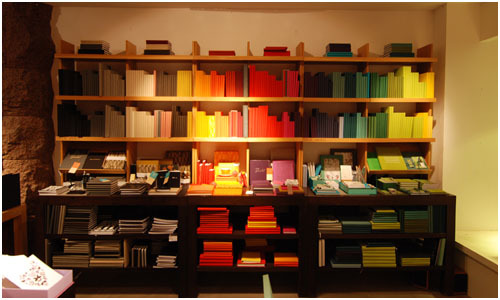 Each year the company introduces new colors into its collection of products. 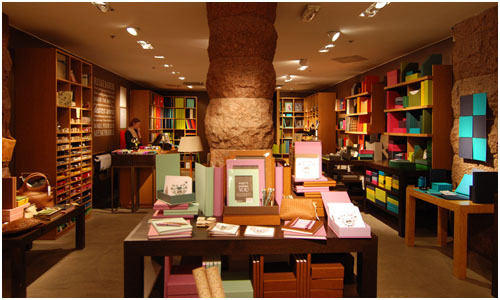 Check out the photos below, taken from the shop in the Sturegallerian on the Stureplan in Stockholm. 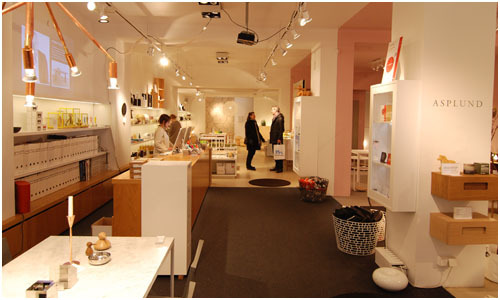 Asplund is definitely one of the top design companies in Sweden, but with only one store in the upscale Östermalm district of Stockholm. In addition to their own line of products, they also do sell products from other well-known international brands. 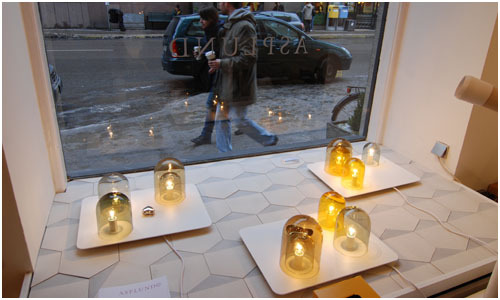 The first thing we saw from the window was the Light Tray designed by Andreas Engesvik and Daniel Rybakken. This piece was shown at Rossana Orlandi during last year’s Salone del Mobile. There were definitely many people then checking the piece out, specifically about the “waves” of light that expanded from the small domes — we’re glad the product went commercial. 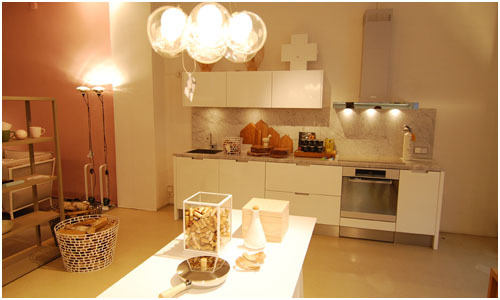 We’ll write more about some products in the Asplund line. Disclosure: DesignsWeLove was provided with arrangements from the Stockholm Visitors Board to write this story. No consideration was provided by the stores visited.